Marching to the beat of his own drum! 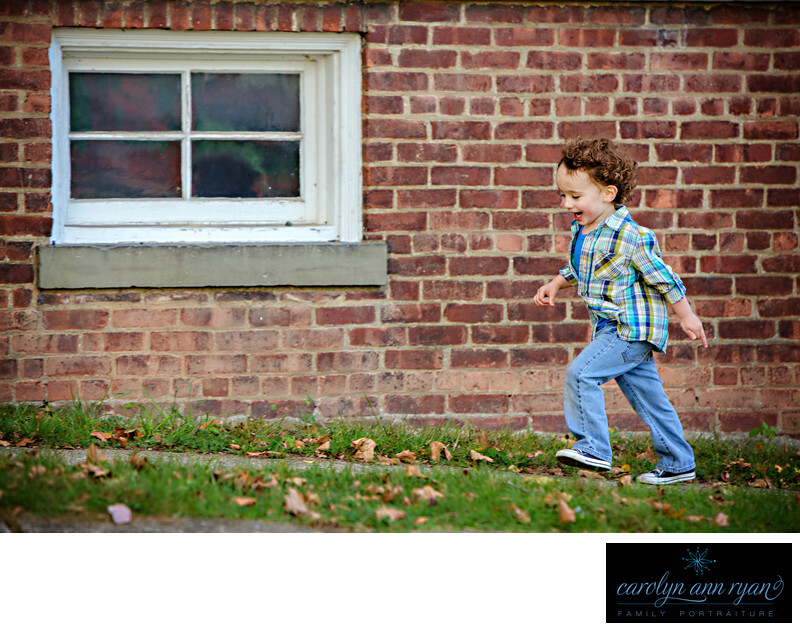 This little guy was constantly on the move throughout our whole family portrait session. I often joke that a session is all I need for a workout because I constantly need to keep up with the little ones. This session was no different, but that’s not a concern or problem for a portrait session. As long as the child is having fun, we keep on moving right along with them. This little guy smiled through the entire portrait session, whether he was running through a field, marching up the street, tackling Mom on the ground, or simply sitting on a bench laughing. A session isn’t about asking a child to sit still and be a perfect statue, but instead it’s about finding things the child wants to do and sometimes following their lead.Keywords: Autumn (117), blue (138), boys (120), brick (18), denim (72), Fall (129), foliage (33), plaid (105), timeless (54), toddlers (45). 1/250; f/4.0; ISO 250; 170.0 mm.